Imagine meeting the total stranger who saved your life, someone who matches you at a molecular level. Now imagine that magical moment multiplied by three, as it was on the evening of May 17 as three marrow transplant recipients met their lifesaving donors at the Gift of Life Marrow Registry annual gala. 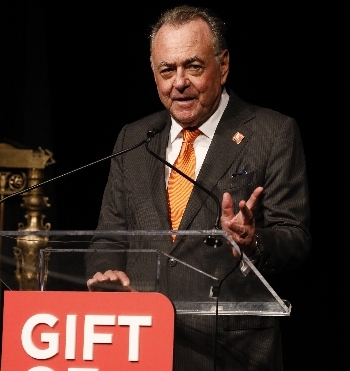 The event brought 600 guests to Gotham Hall in the historic Haier Building in Manhattan to celebrate the lifesaving potential of marrow and stem cell donation. Jordan Klepper, actor, comedian, and correspondent for Comedy Central’s The Daily Show with Trevor Noah, served as the gracious and humorous master of ceremonies. Based in New York City, Klepper will launch his own late night series on Comedy Central beginning in the fall of 2017. A companion to The Daily Show, the new series will air Monday to Thursday at 11:30 p.m. ET/PT. Klepper’s first special, Jordan Klepper Solves Guns, which combines documentary filmmaking, comedy and investigative journalism will debut on Sunday, June 11 at 10:00 p.m. ET/PT on Comedy Central. The one-hour special spotlights the alarming legal obstacles and enlightening personal testimony surrounding the issue of gun violence in America. Two year old A.J. Loscheider seemed happy to be the center of attention as his grateful parents, Christena and Alexander, hugged the man who saved their son’s life, Nick Judson. A.J. and his twin sister Emma were born two months early, and after ten days A.J. became ill. He was diagnosed after with a rare condition called IPEX. Only 150 cases are known in the world; fortunately his sister does not share it. A.J.’s best chance of a cure was a bone marrow transplant, and Gift of Life found his match in Nick, 23, a former Gift of Life Campus Ambassador and a recent graduate from Tufts University who now lives and works in San Francisco. Only a few months after Thomas Davis, a student at University of Tennessee at Chattanooga, joined Gift of Life’s registry in March 2015, he received the call saying, “You’re a potential match for a patient in need.” He was incredibly excited, and said that he thought about his recipient constantly since that moment, wishing for her good health and recovery – and to meet her in person. Paige McCoy went to the emergency room a few days after a flu shot, thinking she might be having a reaction, and was shocked when the ER doctor told her she had acute lymphoblastic leukemia. Her oncologist recommended a peripheral blood stem cell transplant, and Paige was disappointed when her sister was not a match for her. Thankfully, Gift of Life quickly found her one matching donor in its registry, and Paige wept with gratitude when she heard he had agreed to donate. Their wish to meet each other has now come true. “The immense gratitude I’ve received has been humbling,” said Thomas. 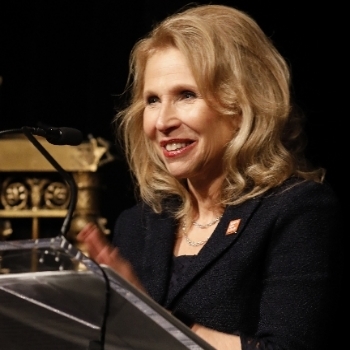 Gift of Life awarded its highest honor, the Partner for Life Award, to Shari Redstone, Vice Chair of CBS and Viacom, President of National Amusements, and Co-Founder and Managing Partner of Advancit Capital, for her outstanding commitment to saving the lives of patients worldwide who are in need of bone marrow transplants. She has been an ardent supporter of Gift of Life since 2010. Corporate Partner Award: CBRE, Inc.
CBRE Chairman of Global Brokerage Stephen B. Siegel accepted Gift of Life’s Corporate Partner Award on behalf of the firm, presented for their dedicated support of the mission to find a marrow donor for every patient in need. “I want to thank CBRE because it’s very gratifying when you work with a company of 78,000 employees that they would drill down deep enough to care about one particular employee’s cause,” said Stephen. “But that isn’t why they did it, they really bought into how important this cause is.” He noted that his wife, Wendy, a transplant recipient, is about to celebrate her four-year transplant anniversary in June. When Wendy was diagnosed with leukemia in 2012, CBRE, Inc. began holding drives to swab employees at their New York City offices and beyond. The organization has contributed funds to support donor swab kit testing from other recruitment drives, and is a corporate sponsor for Gift of Life’s Steps for Life 5K in New York City. The motto of the Saul and Theresa Esman Foundation is Because We Care, paired in their logo with an outstretched hand offering help and comfort. 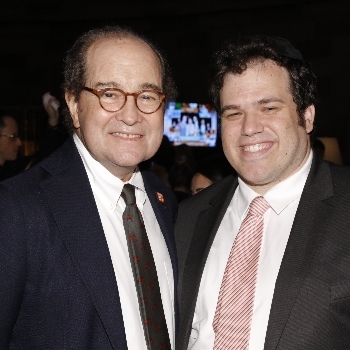 When the foundation’s Executive Director Murray Esman rose to accept the Philanthropy Partner Award, he turned the tables on Gift of Life and presented Jay Feinberg with an award of his own, inscribed, Because YOU Care. The Saul and Theresa Esman Foundation was recognized for their commitment to the Campus Ambassador Program Symposium and the development of Regalo de Vida Marrow Registry which serves the Hispanic community, currently underrepresented in the worldwide registry. When Matthew Welling was just six months old, he was diagnosed with osteopetrosis, a rare genetic disorder that makes bones abnormally dense and prone to breakage, and can even be life-threatening. 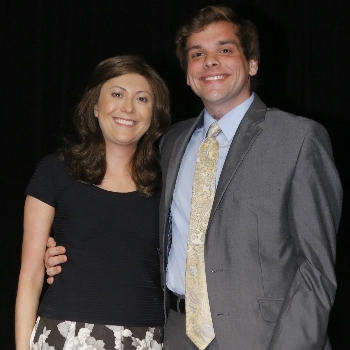 He needed a marrow transplant to survive, and thankfully Gift of Life found his donor Jill Goldsmith in its registry. 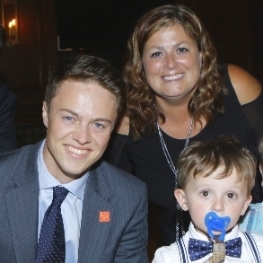 When he was two years old, Matthew, who had spent more than half his life in hospitals, made a trip to the 2008 Gift of Life Gala where he and Jill met for the first time. In celebration of his “Ten-Year Transplant-iversary,” Matthew came back to the gala again, this time to perform with two of his music teachers serving as his band. 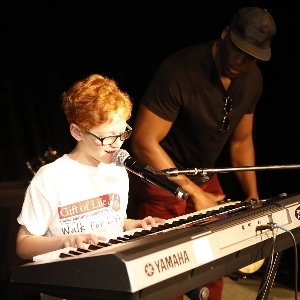 He played keyboard and sang, “I Got the Music in Me” and “Uptown Funk” with all the enthusiasm of a professional entertainer! From the generosity of those who made contributions to the donors and recipients who shared a personal and emotional moment – their first meeting – with everyone, Gift of Life is awed and humbled by your support. Thank you. 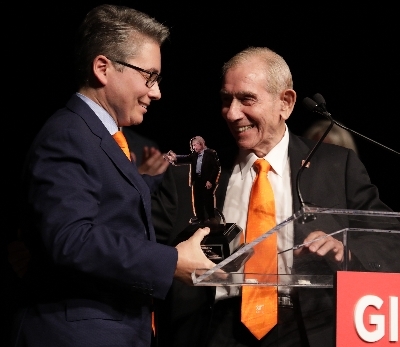 To view the photo gallery from the 2017 One Huge Night Gala, click here. Video segments from this event and others, as well as educational videos about bone marrow and blood stem cell donation, are available on Gift of Life's You Tube Channel, click here.